RMIT has inked an advanced manufacturing and engineering partnership with the Advanced Manufacturing Research Centre (AMRC) at the University of Sheffield. The deal, which was officially formalised at the Formula 1 Australian Grand Prix in Melbourne, will see the two universities undertake joint industry-driven research that is relevant to a range of problems in advanced manufacturing. RMIT Vice-Chancellor and President Martin Bean CBE welcomed the signing of the Memorandum of Understanding (MoU), saying the new international partnership highlighted ‘a combined commitment to world-class advanced manufacturing research’. “Our excellence in aerospace and automotive engineering, and our focus on applied research across engineering materials and advanced manufacturing means that our innovation centres are helping industry to address real-world problems,” Mr Bean stated. He said the two universities also intend to jointly assist small and medium-sized enterprises across the UK and in Australia in forwarding their research ambitions, with new advanced manufacturing techniques. “Through ongoing collaborative research involving universities, academics and industry, we can increase competitiveness, develop new products and build a pipeline of talent and skills,” Mr Bean added. 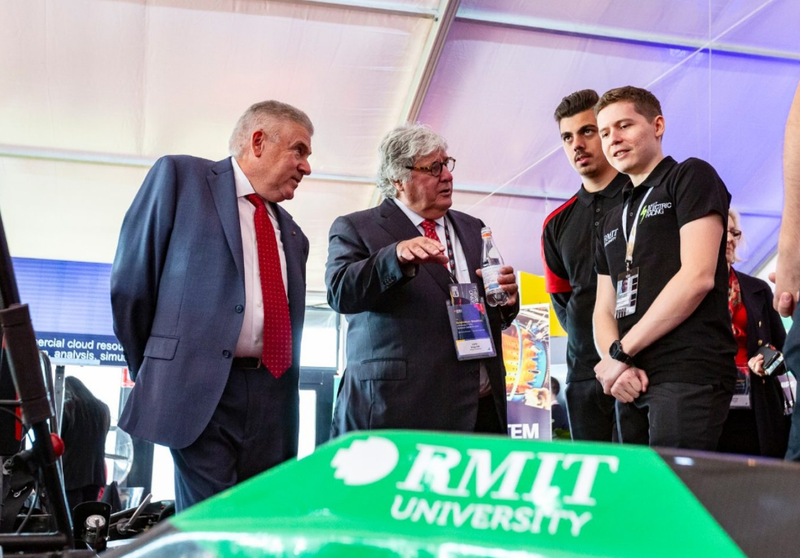 Executive Dean of the AMRC Keith Ridgway said RMIT has also expressed an interest in working with the AMRC to establish its own ‘factory of the future’ to showcase its engineering capabilities to industry, schools and the local community. “As a global research facility it is vital for the AMRC to build relations with like-minded engineering and manufacturing institutions around the world, and Australia is the sort of can-do, entrepreneurial place where we can help to make difference,” Mr Ridgeway concluded.